Very Good. Bad Kitty for President by Bruel, Nick. Trade paperback (US). Glued binding. 160 p. Contains: Illustrations. Bad Kitty. Intended for a juvenile audience. Good. Bad Kitty for President by Bruel, Nick, 2012-08-21. Trade paperback (US). Glued binding. 160 p. Contains: Illustrations. Bad Kitty. Intended for a juvenile audience. Very good. Bad Kitty for President by Nick Bruel. Good. 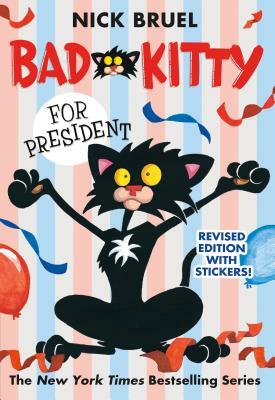 Bad Kitty for President by Nick Bruel.